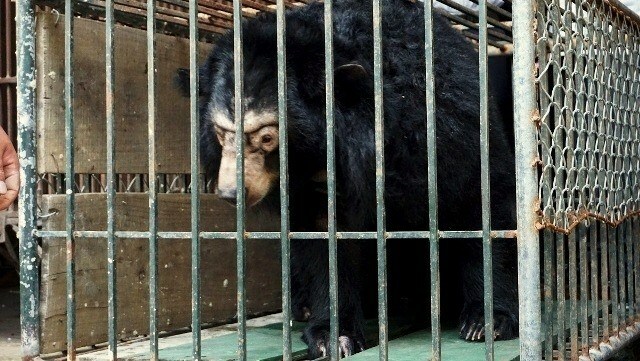 Hanoi (VNA) – Hanoi’s Forest Protection Department and World Animal Protection (WAP) finished re-implanting microchips in 200 captive bears earlier this week in the capital city – which boasts the highest number of bile farms as well as captive bears in the country. With latest technology, the new microchips will help monitor the captive bear population effectively without requiring anaesthesia like before. The re-implanting programme is part of an initiative by an alliance of non-governmental organisations dedicated to protecting bears, including Education for Nature – Vietnam (ENV), World Animal Protection (WAP), and Four Paws International, and aimed at supporting the government in putting an end to bear farming in Vietnam. More than a decade ago, in 2005, the Ministry of Agriculture and Rural Development (MARD) and WAP (then known as World Society for the Protection of Animals) launched a programme to implant microchips in 4,300 bears held captive in the hundreds of bile farms across Vietnam. Owing to strict law enforcement and committed support from NGOs and the community, the number of bears in captivity dropped to 1,200 at the end of 2015. Dr Karanvir Kukreja, WAP’s Asia-Pacific wildlife campaign coordinator, said microchip re-implantation can fully achieve its aim only if the authorities frequently conduct inspections, monitor the number of bears in bear farms, and make sure that there is no illegal trading of captive bears.